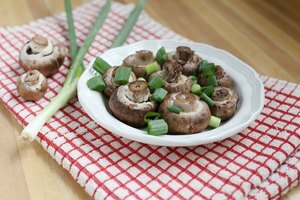 Steaming is a quick and gentle method of cooking that doesn’t require any special equipment. Although metal and bamboo steamers are available to purchase, you can instead set up a makeshift steamer using common household items such as colanders, pie tins, plates and cooling racks. These homemade steamers suit a variety of foods, including vegetables, dumplings, fish and tamales. For best results, always line your steamers with parchment paper to protect the food from sticking. 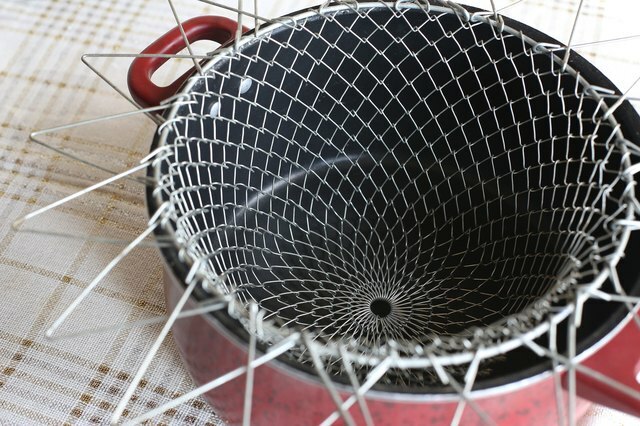 Metal colanders can serve as steamer baskets for vegetables and other items that don’t require a flat surface on which to cook. Hang the colander’s handles over the rim of a pot, so that the colander is suspended inside. If the colander has no handles, set it on an overturned heatproof bowl inside the pot. Fill the bottom of the pot with water, keeping the water level below the bottom of the colander. Rest the pot’s cover on top of the colander. You can convert a disposable aluminum pie pan into a perforated steamer tray with a flat bottom, ideal for steaming dumplings. 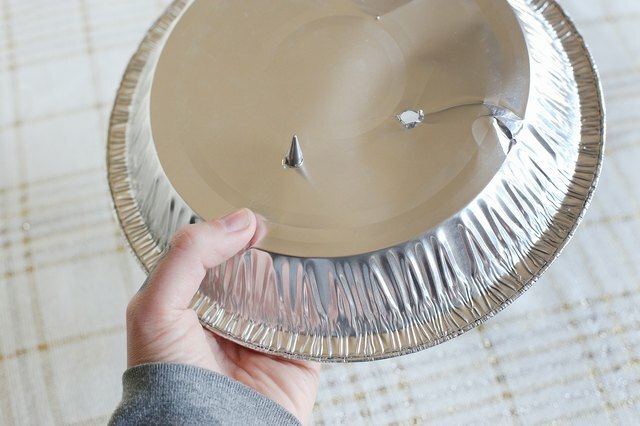 Use a wooden skewer to poke several holes in the pie tin, allowing the steam to distribute evenly. Place the pie tin on an overturned heatproof bowl or ramekin, inside a pot that is wide enough to hold the pie tin. Add water below the pie tin, add the food in a single layer, and cover the pot. A heatproof plate is another simple option for steaming delicate food on a sturdy, flat surface. Choose a plate that is small enough to fit comfortably inside of a pot or wok, with space around the edges for the steam to rise. 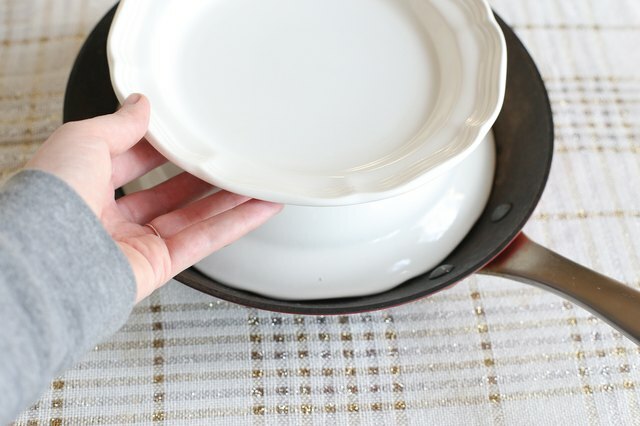 Place the plate on an overturned heatproof bowl or ramekin to keep it above the water. Arrange the food on the plate in a single layer, and keep the pot covered during cooking. The oven is a convenient option for steaming large quantities of food, such as tamales or whole fish. 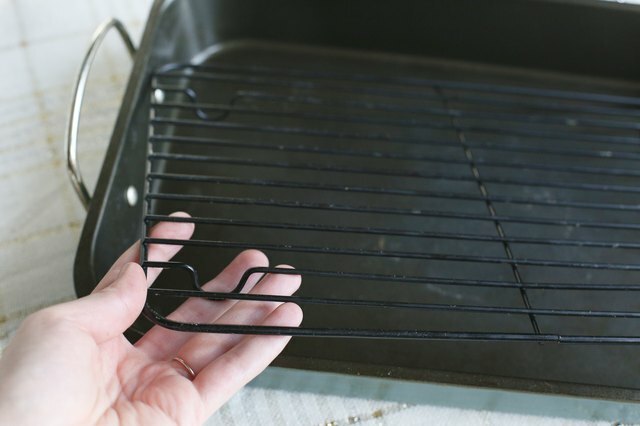 Fit a metal broiler rack or cooling rack in a large roasting pan, using overturned ovenproof bowls to create space under the rack for water. Preheat the oven to 200 degrees Fahrenheit, place the food on the rack and fill the bottom of the roasting pan with boiling water. Cover the roasting pan with foil and transfer it to the warm oven. Lindsay Lau is a food writer and recipe developer with experience cooking professionally at both restaurants and catered events. 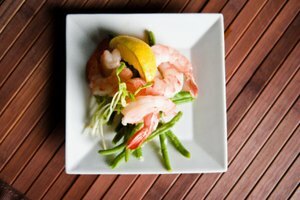 As a graduate of the Natural Gourmet Institute in New York, Lau specializes in healthy cooking techniques.